^ Taylor, Judd. The Memento Screenplay Category Controversy: Memento is an Adapted Screenplay. [2012-10-17]. （原始内容存档于2014-03-07）. ^ White, James. 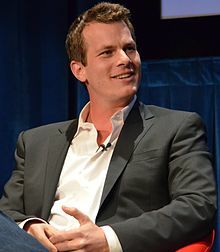 Jonah Nolan Pitching TV Crime Thriller. Empire Magazine. 10 September 2010 [2012-07-20]. ^ Christopher Nolan: The Movies. The Memories.. Empire Magazine. [2012-07-20]. ^ O'Hara, Helen. Christopher Nolan Confirms Batman 3. Empire Magazine. 29 September 2010 [2012-07-20]. ^ Reynolds, Simon; Edwards, Freddie. Exclusive: Jonathan Nolan on 'The Dark Knight Rises': 'I'm done with Batman'. Digital Spy. 16 July 2012 [2012-07-20]. ^ Kit, Borys; Masters, Kim. Christopher Nolan in Talks to Direct 'Interstellar' for Paramount and Warner Bros. （Exclusive）. The Hollywood Reporter. 9 January 2013 [8 February 2013].